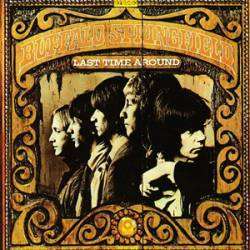 Buffalo Springfield - Last Time Around 12"
Released on a purple and brown label. Gatefold "Unipak-Pat. Pending" on inside spine. Monarch pressing plant as dictated in the wax by the Delta triangle and the circled MR, and the label suffix of "-MO".